Through a series of grids, circumscribed by circles, a template shape was created and used in repetition to create an interesting pattern. The final shape resembles a leaf or a scale. 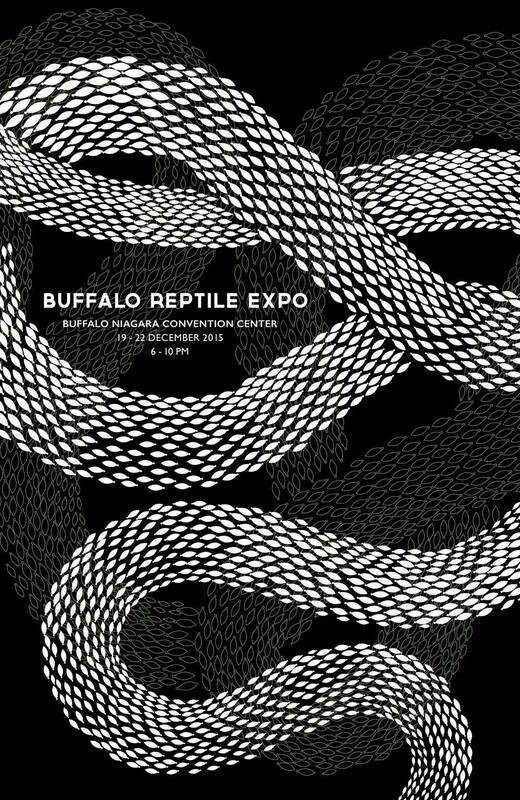 Variations in the shape’s size, rotation, and scale create a snakeskin pattern which is used in an event poster for a Reptile Expo set in Buffalo, NY.